The following news article, regarding the Annual General Meeting of the Yallourn & District Band, was published in the ‘Morwell Advertiser’ in June 1934 and reported on the highlights, activities and financial situation of the band during that year. The Yallourn Band is an absorbing story in the history of the town; and this website and various other texts refer to the importance of the band throughout the six decades of Yallourn’s existence. The origins of the Y&DB are not exactly clear but it is believed that several local workers, with a love of music, contemplated forming a band as early as 1921. 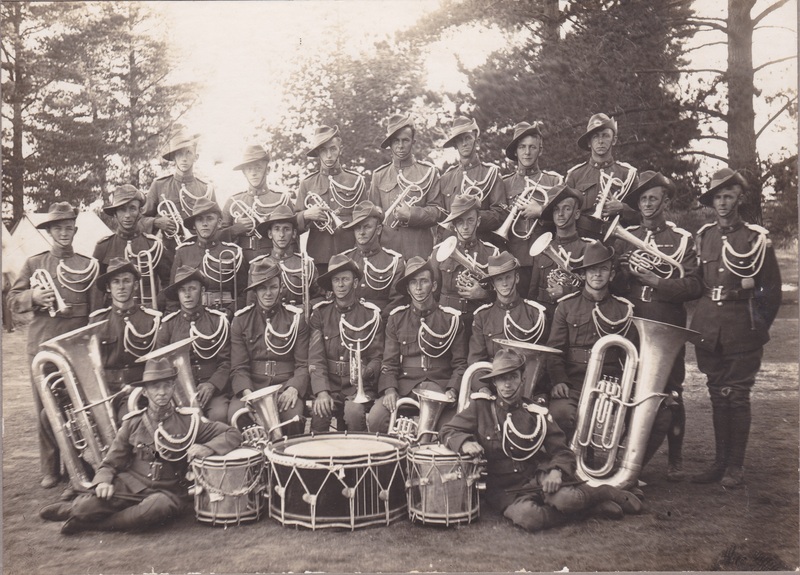 The idea took hold and with the patronage of Sir John Monash and recruitment of other enthusiastic musicians the band became a reality, flourished and, in time, gained a reputation as ‘one of the best’ in Victoria. While Charles Turner is the most celebrated of all Yallourn bandsmen, the story which is included in this article centres on another of the other great contributors to the musical culture of the town of Yallourn - Mr Bill Fleming. Bill Fleming was an extraordinary character and this story highlights his dedicated contribution to the Yallourn music scene and his experiences as a soldier and a POW during WW2. •	President: C. Boehm and G. Dickson Brown. •	Secretary: N. P. Bolger. •	Asst. Secretary: W. Fleming. •	Committee representing the public: P. Harry, G. N. Bedford, E. Garret, H. Lynch. J. E. Turvey. •	Trustees: T. Hill and W. M. McRitchie. •	Auditors: J. Cullen and T. E. McGowan. •	V.B.L. Representative: H. A. L. Binder. •	The Committee representing the bandsmen: A. L. Williams, A. Forbes, R. Gould, P. Cameron and R. C. Wiggins. Several changes in the playing personnel of the Band took place but the Band has been able to keep up to full playing strength. Young players are being trained and encouraged, and it is hoped that in the near future most of the vacancies which occur will be filled from the ranks of these young players. The services rendered by Mr J. C. Turner as Bandsmaster have been most satisfactory, and he has devoted a great amount of time to the training of the bandsmen. He has kept abreast of the times in providing and teaching suitable musical compositions which have been appreciated during the recitals given by the Band at the rotunda. 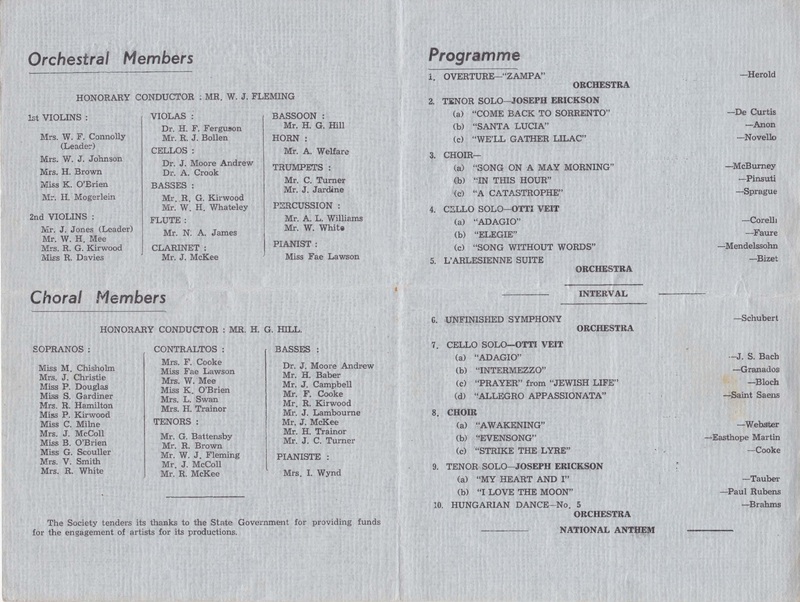 Appreciation of the services rendered by Mr Williams, the Band Sergeant, who has been the principal coach of the young aspirants for positions in the Band, was expressed by the Committee; also to Mr J. Amos, the Drum Major, whose services have contributed in no small manner in bringing the Band up to such a high standard in the drill and marching section. The bandsmen's interests have also been well looked after by Mr H. A. L. Binder, who is the Band's delegate to the Victorian Bands League. To the playing members of the Band the public of Yallourn owe a measure of thanks for the self-sacrificing manner in which they have devoted their leisure time to practice in order that they might provide enjoyment for their fellow citizens. During the past year the Band has competed in one band contest, which was that held at South Street, Ballarat, where they succeeded in gaining second place. The general opinion of bands men who attended this competition is that the playing of the Yallourn Band reached the highest standard it has ever attained. Several soloists also competed at this contest, but only one succeeded in catching the Judge's eye. Early in the year the Band held a local Solo Competition. On the 24th September last the Yallourn Band took part in the Massed Bands performance on the Melbourne Cricket Ground, and created a very fine impression, whilst marching through the streets, and on the ground. Whilst in Melbourne for the Massed Bands Recital, the Band broadcast a programme from Station 3AR, which was commended by the Broadcasting Company, and well received by listeners. Later in the year the Band was again ‘on the air’ during a broadcast description of the Commission's workings at Yallourn. 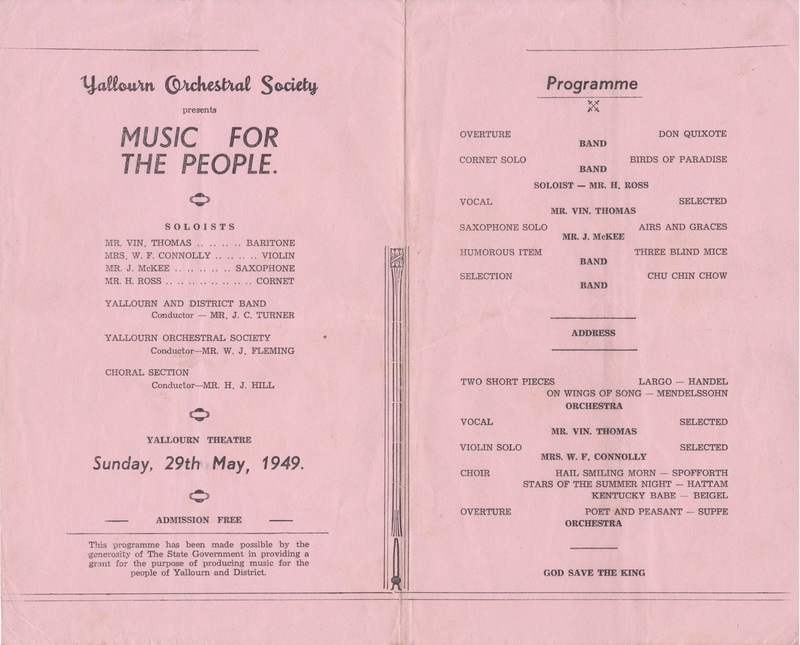 In addition to recitals given at the Yallourn rotunda and the Hospital, several performances were given in neighbouring towns within an area extending from Warragul to Bairnsdale. For the year ended May 29th, 1934, the finances of the Band were maintained satisfactorily. Receipts from all sources amounted to £307/4/3, whilst expenditure totalled £426/3/11, leaving a debit balance of £118/19/8. The balance sheet as at 29/5/1934, reveals a surplus of assets over liabilities of £404/15/1. The members of the social committee were commended on their efforts during the past twelve months. To those members who are actually interested in band affairs it is quite apparent that without the efforts of the social committee the band could not retain the standard which it has attained. The committee expressed its appreciation of the services rendered by the honorary auditors, Messrs J. Cullen and H. E. McGowan. The financial success of Band recitals has been facilitated considerably by the Press, to whom the committee extended thanks for publishing programmes and giving publicity to Band affairs generally. It has been the desire of the committee to establish a suitable building in which the Band could practice, and the bandsmen could hold their own social functions. With this object in view the General Superintendent was approached about the middle of last year with a complete scheme, together with a suggestion that the material be supplied by the Commission and the labour provided by the bandsmen, but to date no definite reply has been received to this proposal. 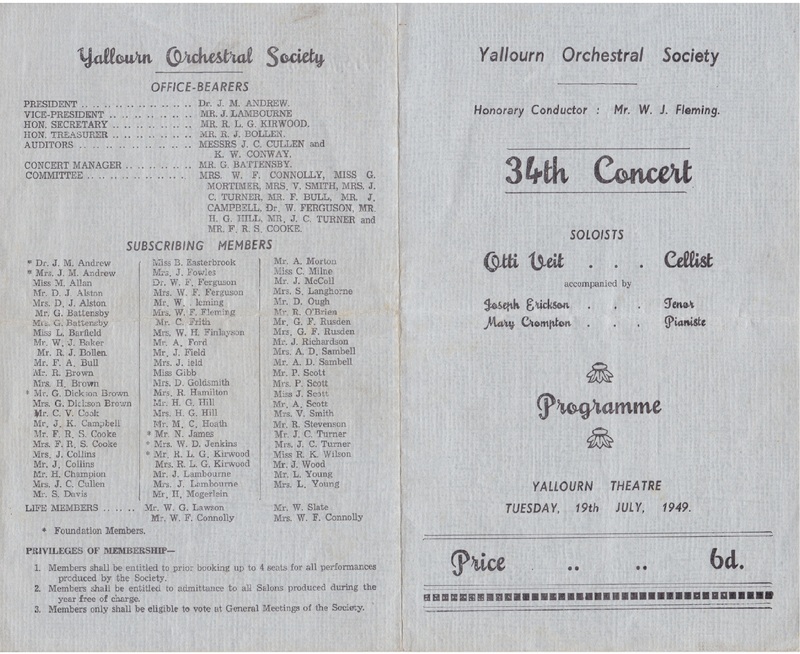 The public of Yallourn were thanked for their continued practical and financial support which at all times has been given generously, and with an earnest desire to elevate the Band to a status worthy of the town. William James Fleming was born in Bulwell, a suburb of Nottingham, England in August 1906. He was the son of William James Fleming Sr, a coal miner, and Emma Fleming. Bill had a brother Ted, and sisters Elsie, Nell and Doris, all of whom except Elsie eventually migrated to Australia, settling in Yallourn and surrounds. Bill left school in Bulwell at the age of 13 and began work at a colliery in the mines. He learnt to play the cornet at an early age and played with the Hucknall Excelsior Band, a champion band in the English Midlands, and began to develop what was to become a life-long passion for bands and music. In 1928 Bill migrated to Australia to join his older brother Ted, and began work in the coal mines at Wonthaggi. 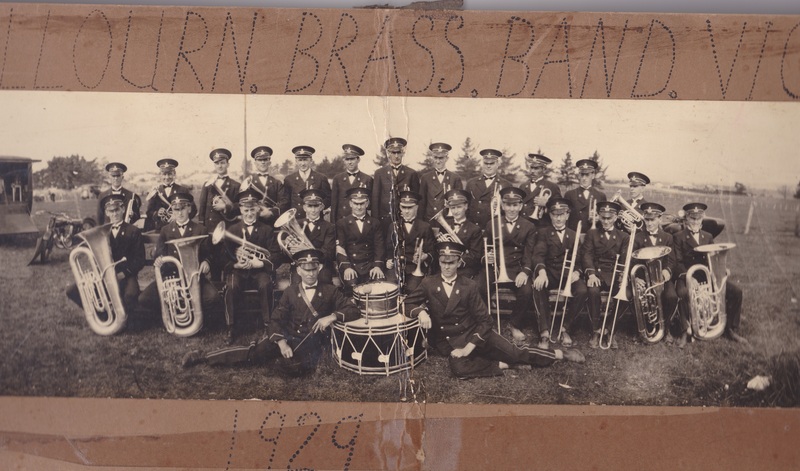 They lived in Korumburra and within months he was appointed to the position of bandmaster of the Korumburra Brass Band. They were soon joined by the rest of the family, although sister Elsie married in 1921 and remained in England. In 1929 Bill successfully applied for the position of Assistant Bandmaster in the newly formed Yallourn Band, and moved to Yallourn. He settled into the South Camp, and began work as a labourer before becoming a greaser and fireman at the Yallourn Briquette Factory. Ted soon joined him in Yallourn and worked as a bricklayer with the SEC. Unlike Bill, Ted had no active interest in music but was a talented golfer, winning the Yallourn Golf Club championship in 1935, 1936 and 1937 before suffering a back injury and subsequently leaving Yallourn. Bill met Mary Nancarrow who worked in the general store and they married in 1934. They moved to a house in Southway to start their married life, which was to continue until Mary’s passing in 1980. Bill continued to work at the Briquette Factory for the rest of his working life, punctuated by his service in WW2. He obtained a position on staff in the Briquette offices as Operations Records Officer in 1948, became a Technical Services Officer in 1959 and continued until the close of the factory in 1971. Although Bill was due for retirement he was employed to work for some months after the factory closure to assist with the personnel dispersion and ultimate closure of the factory. He found working alone in the factory to be quite different and sad in many ways, but was happy to continue his 43 year association for a little longer. 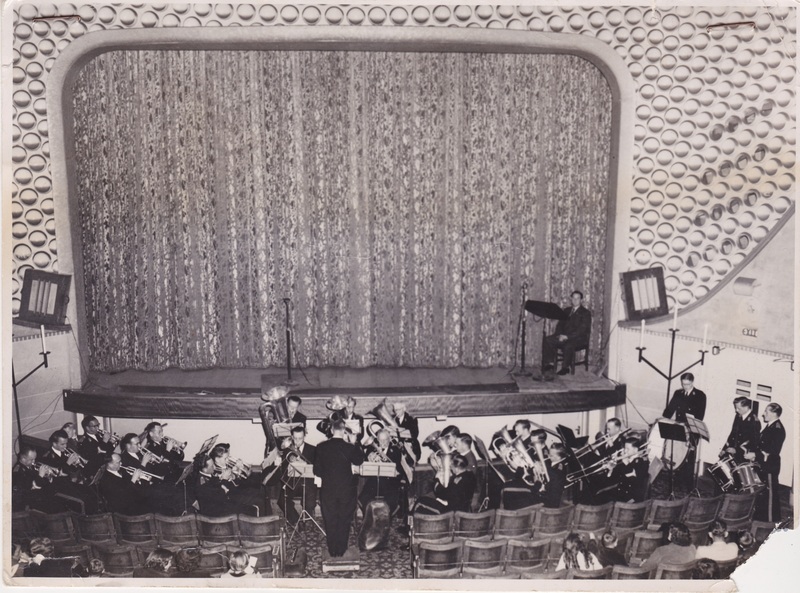 In Victoria’s southeast, the State Coal Mine in Wonthaggi was the springboard for the Union Band, which merged with the Wonthaggi Town Band in 1935. In 1922, workers at the State Electricity Commission coalmines in the Latrobe Valley formed the Yallourn and District Band. The state utility contributed £400 to help buy instruments and uniforms. ‘The SMH’ August 20th 2014. The inaugural Yallourn Band committee meeting was held in November 1925 and the elected office bearers were listed as: F.E. Morton, H.I. Roberts and J. Turvey. Bill Fleming’s name was first mentioned in this research sometime in 1929. He was 23 years of age when he took his place in the band. In that period, there were at least five cornet players… Bill Reid, Alf Welfare, Bill Daniels, Frank Schneider and Bill Fleming.